A heart murmur is an abnormal noise between heartbeats. It can be a blowing, whooshing, or swishing sound. When your doctor listens to your heartbeat with a stethoscope, he or she is listening to the sounds your blood makes as it flows through your heart. A heart murmur is when the blood makes an extra sound as it moves through. A heart murmur can be a sign of a heart problem. It can also be caused by a minor issue or a normal increase in blood flow in the heart. Many different things can cause heart murmurs. In many cases, the heart murmur is just the sound of blood flowing through a normal, healthy heart. This is called an “innocent” or “functional” murmur. These noises are commonly heard in children because their hearts are very close to their chest walls. Many innocent murmurs become hard to hear as children grow older. Most go away on their own. Pregnant women also sometimes have innocent heart murmurs because the body makes extra blood during pregnancy. Defects in the septum. The septum is the wall between the upper and lower chambers of the heart. Sometimes a hole in the septum can let blood flow through it. This blood flow causes a murmur. Abnormalities with valves. The valves in the heart let the blood flow from chamber to chamber (from the atrium to the ventricle). Sometimes there are problems with these valves. The valves could be too thick, too narrow, or too “floppy.” These problems can affect the flow of blood, which can cause a murmur. Disorders with the heart muscle. These problems (called cardiomyopathy) can make the muscle of the heart too thick or too weak. This affects the heart’s ability to pump blood and can cause extra noises. You are at higher risk of developing a heart murmur if you have a family history of a heart defect or certain medical conditions. These could include high blood pressure, hyperthyroidism, or endocarditis (infection in the lining of the heart). Your baby is at higher risk of developing a heart murmur if you used certain medicines, alcohol, or drugs during pregnancy. Other pregnancy conditions can increase the risk, such as uncontrolled diabetes or a rubella infection. How is a heart murmur diagnosed? Usually, your doctor will find a murmur during a regular exam when listening to your heart with a stethoscope. Once he or she hears the murmur, they will listen to the loudness, the location, and the timing of it. This will help them determine if it is an innocent murmur or if it could be something more serious. If your doctor suspects a heart problem, he or she may refer you to a cardiologist. This is a doctor who specializes in the heart. Your doctor may choose to do some testing. These tests could include a chest X-ray, electrocardiogram (EKG or ECG) or echocardiogram (sometimes called an “echo”). These tests will help him or her see if there are problems with your heart rhythm, your heart structure, or how your heart is working. Can a heart murmur be prevented or avoided? There is nothing you can do to prevent heart murmurs caused by genetic causes. Avoiding drugs and alcohol and receiving treatment for infections during pregnancy can prevent some heart murmurs in children. The treatment for a heart murmur depends on what is causing the murmur. An innocent heart murmur doesn’t need any treatment. If a heart problem or other condition is causing the murmur, that problem will need to be treated. These types of conditions are usually treated with medicine. Severe cases could require surgery. What if my child has an innocent heart murmur? An innocent heart murmur does not pose a health threat. If your child has an innocent heart murmur, he or she can run, jump and play, with no limits on activity. Your child doesn’t need to take any medicine or be careful in any special way. You have trouble exercising or being physically active. blue tint to the lips. These could be signs of a more serious heart problem. What kind of heart murmur do I or my child have? Is this kind of murmur indicative of other health problems? 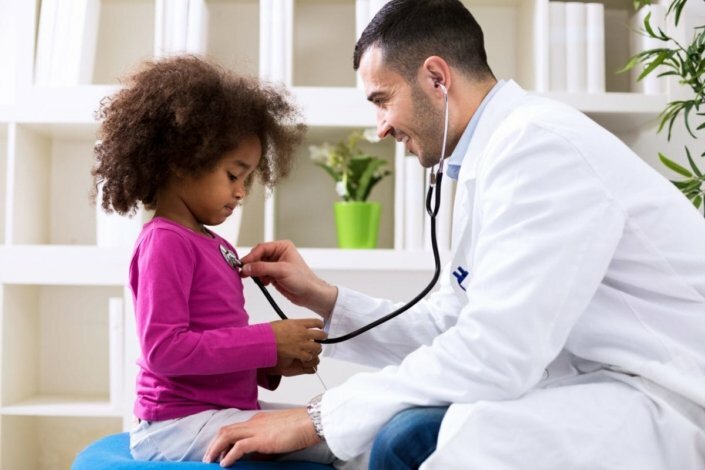 Do I or my child need tests or need to visit a cardiologist? What kind of treatment will I or my child need? Is it safe for my child to play and exercise like normal?